Kalmar, part of Cargotec, has won a large order to supply 23 diesel-electric straddle carriers to Transnet Port Terminals (TPT) Durban Pier 2, a dedicated straddle carrier operation in South Africa currently handling a throughput of 2.6 million TEU. The contract also includes a delivery of a straddle carrier simulator, which will be used for training purposes at the site. The order was booked in Cargotec's 2016 third quarter order intake with deliveries scheduled to be completed in 2017. Thandi Sabelo, Acting General Manager for Procurement at TPT said "Kalmar fulfilled our requirements and was able to provide a solution that supports our efforts to develop the local capability and enhance sustainability within our workforce, through training capabilities and technological knowhow. The machine structures will be built locally in Durban with partnership of Transnet Engineering, this is an important milestone to our quest to advance local supplier development initiatives." Pekka Helimo, Senior Sales Manager, Intelligent Horizontal Transportation Solutions at Kalmar said: "We are delighted about this order which is built on long-term partnership between Kalmar and Transnet. 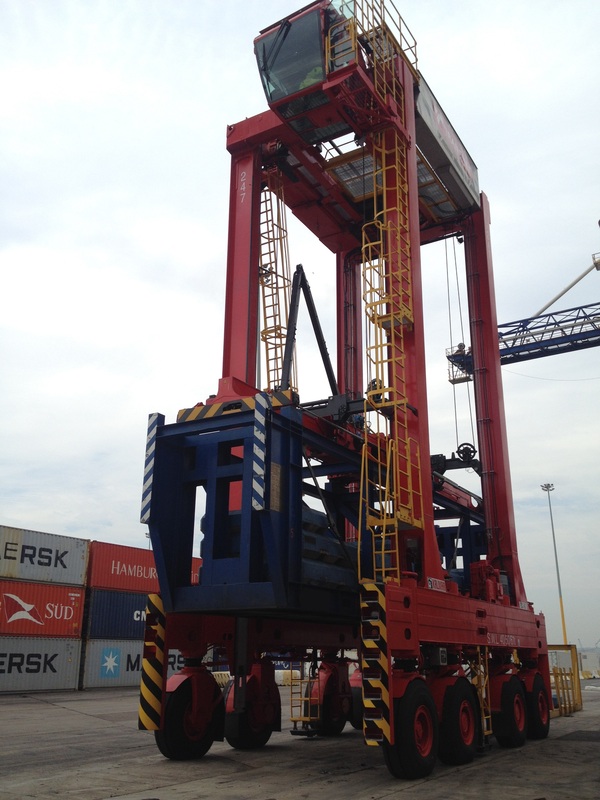 Our previous straddle carrier delivery was completed in October 2014 and Transnet already operates a substantial fleet of Kalmar straddle carriers in their Durban terminal. We are committed to support our customer on site with a dedicated local service team." Kalmar ESC 440 straddle carriers combine high performance and productivity with low maintenance and operating costs. Designed with operators in mind, they deliver strong environmental benefits. The machines are equipped with the latest power line featuring low fuel consumption and improved serviceability, and reducing the total life cycle costs. TPT opted for Kalmar's diesel-electric straddle carriers, which feature a single lift system and lifting capabilities of 40 tons.